I've been a bit under the radar recently as a blogger and indeed in real life too. My health hasn't been at it's best, plus hospital visits, helping mum to move off the island and general life stuff has meant my writing muse had upped and gone on holiday. 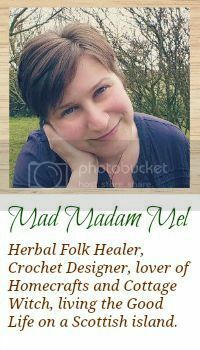 The only exception has been my introduction and subsequent addiction to Instagram where you can find me under @madmadammel, I have also added a widget to my sidebar. 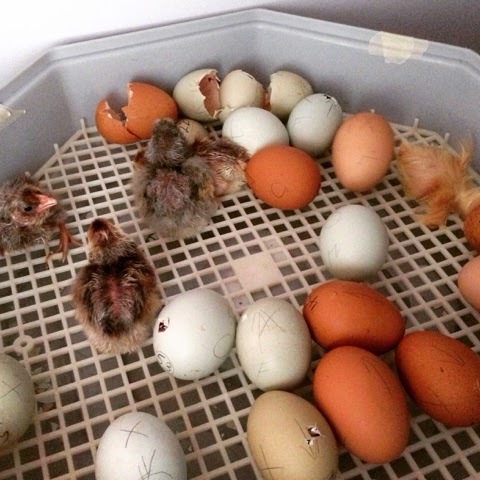 But during the past few weeks one of the exciting developments here at home has been out first brood of baby chicks hatching in the incubator. 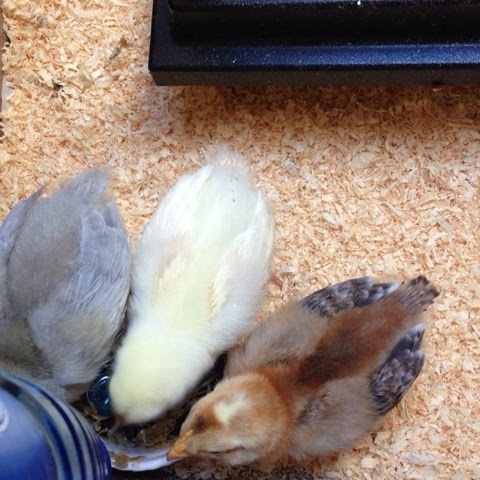 The plan this year is to raise our breeding stock, this our first hatchlings include Large Lavender Auracana, Cream Legbar, Welsummer, and the pale yellow one above is one of our own mixed breeds most likely a Rhode Island Red. 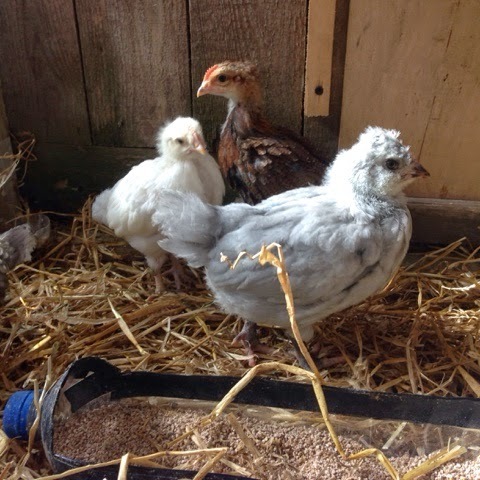 At over 4 weeks old now the hatchlings are huge, around the size of pigeons, they will be out in the big wide world before you know it, ready to be joined by a soon to be hatched second brood of chicks.